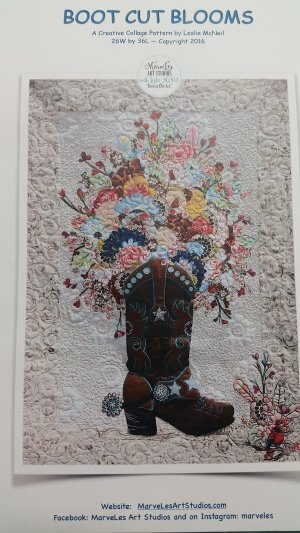 Things have been CRAZY busy at Main Street Quilting. We just finished CRAZY DAYS, and cleared out lots of fabric bolts. (Never fear, we still have a sale section downstairs, just much smaller now, and there are even a few sale kits.) MSU gets in gear soon, and we have a few surprises up our sleeves to welcome parents and students. Just wait til you see our window!! Ladies who are going to our 2016 Fall Retreat- Gwen is sending a separate email but final payment is due by August 5th. Row by Row is still going; get into the store before September 7 to pick up a row kit. Kits and patterns are available for sale online as well, but note that we can’t ship them until November 1. July’s project is a fast and sweet table runner made from two mini charm packs or one charm pack and ½ yard of fabric. Pattern available at the store. Bring a food to share, and come make a fun project with us! Call to reserve your spot. Cost: $10. Please join us to celebrate!! 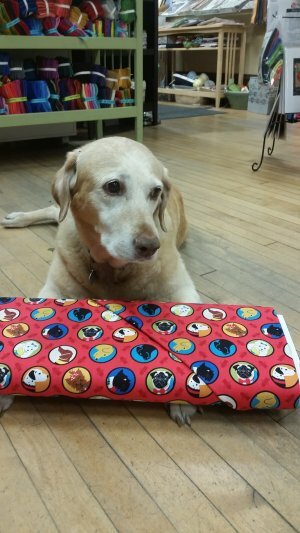 All regular priced animal prints are on sale and we will have some doggie and people treats to share! Call us to get on the list for help finishing those projects you had on the back burner. Cost: $10 for classroom use. Morning Melody: Tuesday, Sept. 10 or Saturday, Sept. 13. 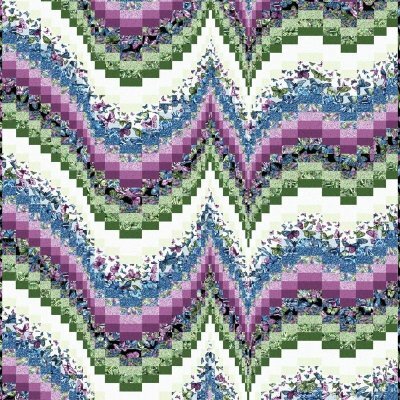 The last newsletter mentioned a true Bargello method class utilizing Ann Lauer’s newest pattern. 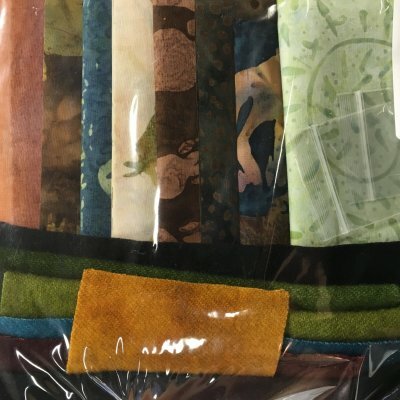 Kits are cut and for sale now (you don’t need to be in the class to purchase): a queen size in autumn colors and a lap size in modern orange, turquoise, and gray. Class: Tuesday, September 10 or Saturday, September 13. Class is filling up fast, so call and reserve your spot now if interested. This session is only offered once a year, so don't miss out! 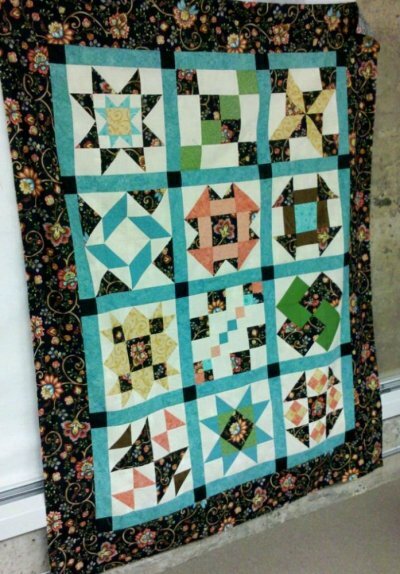 If you have taken our Beginning Quilting class, the Intermediate Quilting Class is a great next step. 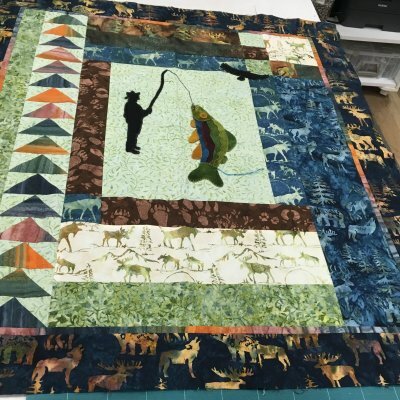 Class builds on the skills acquired in Beginner Quilting and takes your quilting to the next level. Class runs for 14 weeks and requires weekly cutting be completed prior to class. Class list and supplies will be picked up at first class. Class runs September 1 to December 15, every Thursday evening. Cost: $160 plus supplies. 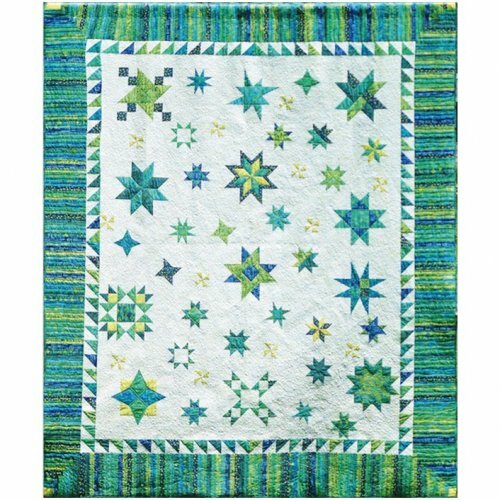 Sharpen your sewing skills while making a sampler quilt. This class is great for all ages of sewers and open to all! 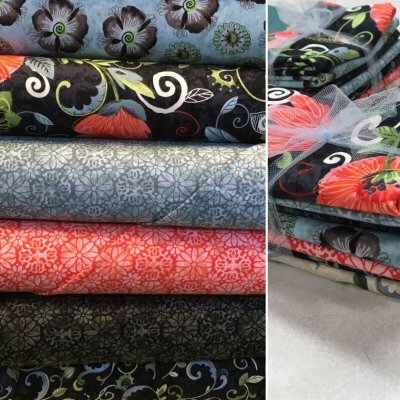 Class starts with the basics of how to choose fabric and finishes with a completed quilt top that is ready to send to the quilter. Fall session will run Sept 6- Dec 6. Class list and supplies will be picked up at first class. Sign up today to reserve your spot. Cost: $150 plus supplies. 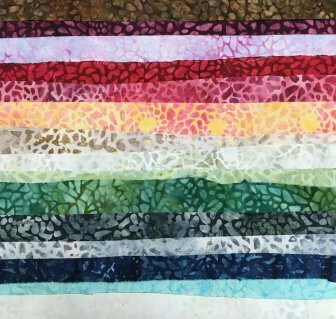 Leslie McNeil of Marveles Art Studios is coming and sharing her gorgeous collage techniques with us. Check out her amazing collage work below. McNeil walks you through the entire process, so you’ll leave with a finished product ready to be stitched down. Material list will be sent after sign up. This class was just announced and it’s almost full! Sign up now if interested. (We will accept a waiting list and schedule another class in the fall.) Two day class, Friday, September 30 to Saturday, October 1 from 10:30 am to 4 pm. Cost: $75 plus materials. 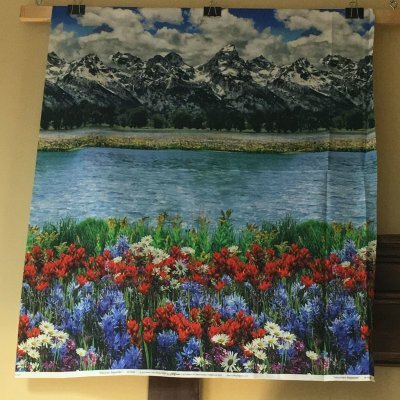 As if this stunning digital print of mountains and flowers couldn’t get better, it’s not a panel! Sold by the yard, it makes a great Montana keepsake. 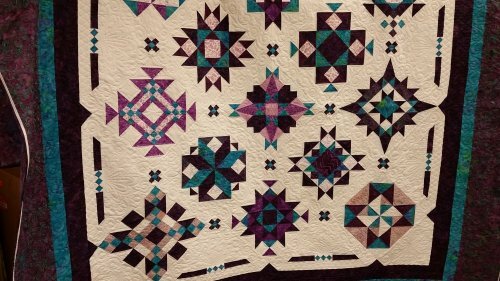 Search “attic window quilt” for inspiration or stop in the store and see the amazing Attic Window that Kari completed one weekend! 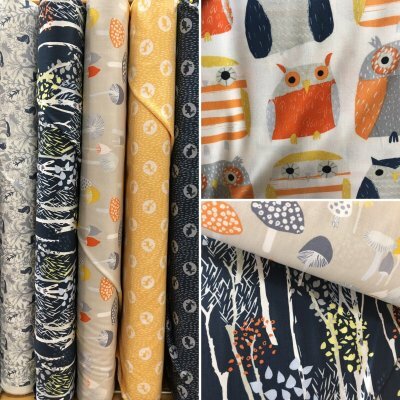 Gwen browsed the Dear Stella line and picked the cutest coordinating fabrics of the batch. Mushrooms, owls, and tiny deer. It’s adorable. Another forest-themed line, this one a bit more naturalistic looking. Bunnies, foxes, squirrels, and other forest animals all live together in harmony in a sky lit by fireflies. We’ve also made this line into a kit, so keep reading. 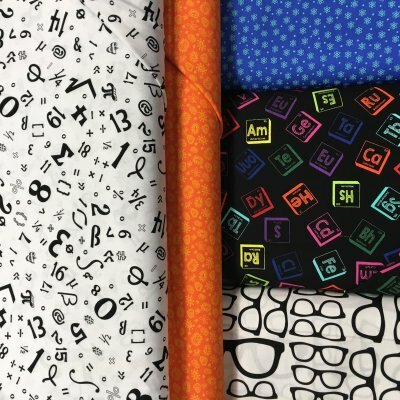 From RJR Fabrics, this fabric celebrates the science geek in the cutest way. Bright elements from the periodic chart and graphic glasses are highlights of the line along with nuclei, cells, and math symbols. 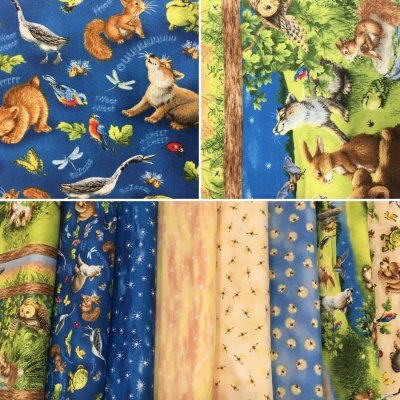 Get smart with science fabric! Pansies galore in this line. Pale blue, dusty pink, and black create great contrast for a fun stylized flower design. It’s on the bolt, and we’ve cut fat quarter bundles all ready to go for a project. Feed the birds this autumn. 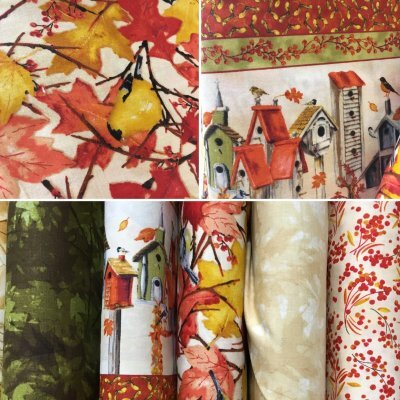 Fall leaves, birds, and birdhouses cover these country styled fabrics. 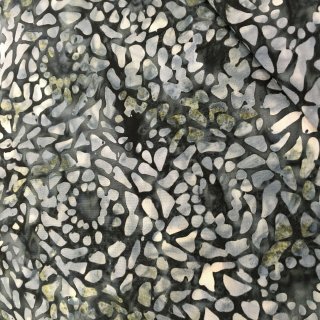 A new mosaic line is in stock. Color swatches of all the fabrics we got are below in addition to a large photo detailing the fabrics’ pattern. 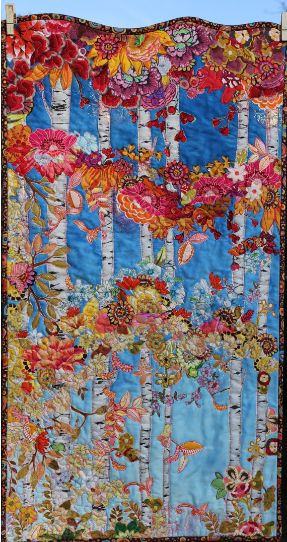 A great addition to quilts. NEW!! 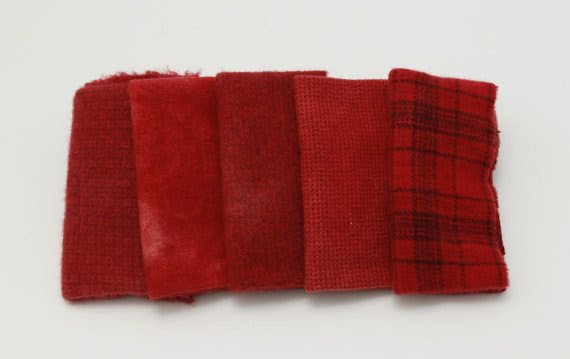 Fat 16th bundles from Olympic Wool Works provide a variety of materials for wool projects. 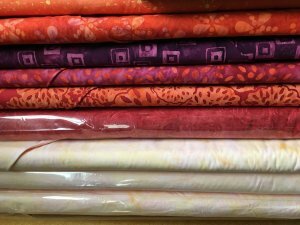 Bundles have five pieces of fabric based in one dye lot with various prints/textures. See photo for sample of textures. We have many different colored bundles in stock. Bernina has Software Version 8 available. There is a limited time when we can offer special pricing for the Software Inspirations participants. This class, offered the last Wednesday of every month, teaches you how to use this state-of-the-art software to it's full potential. Please call us for details about pricing and the class. Learn more about the software at Bernina's website. 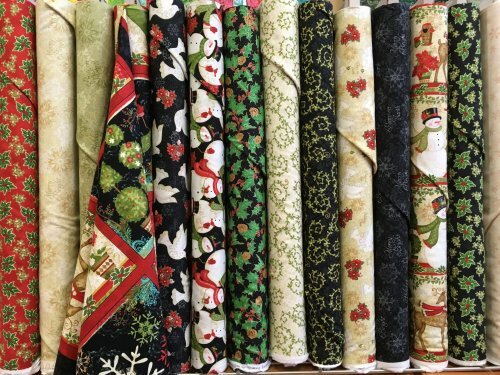 There is so much new holiday fabric that we’re just gonna say come in and check out the holiday wall at the front of the store. Not in Bozeman? Never, fear, it’s all online. 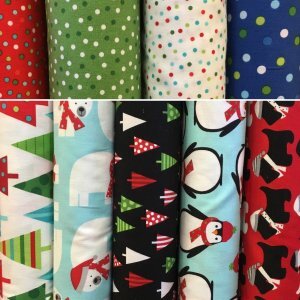 New fabric added to the wall this month is the Winter Bliss line, Winter Essentials IV line, and Jingle line. (Look at those penguins and scotty dogs!) Town Square is still in stock, though we are now out of some bolts. Wrap up in holiday flannel, too. 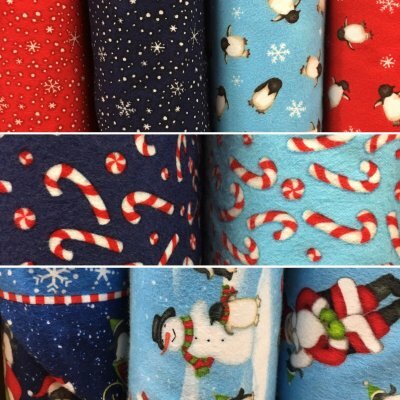 New is penguins, snowflakes, snowmen, and Santa Claus flannel from the North Pole Greetings line. 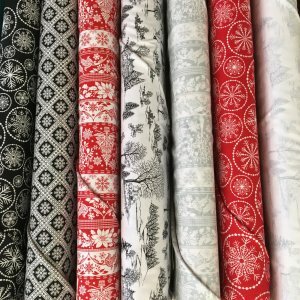 More traditional holiday flannels (think holly berries and pine needles) are also available. 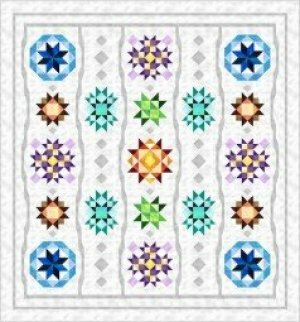 Snowflakes dance with other in dazzling patterns in this kaleidoscope-like quilt. We also have this fabric on the bolt. Mentioned as a class above in this newsletter, we have kits for sale separate from the class. 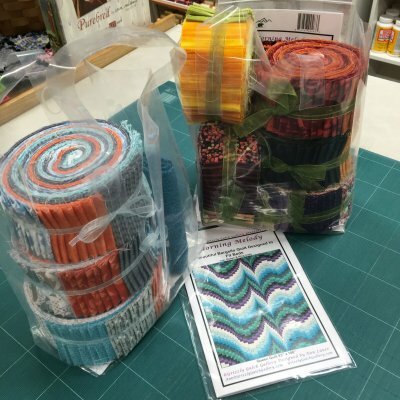 Kit consists of many jelly rolls (three for the modern lap quilt, five for the autumn queen quilt) that do much of the work for you! 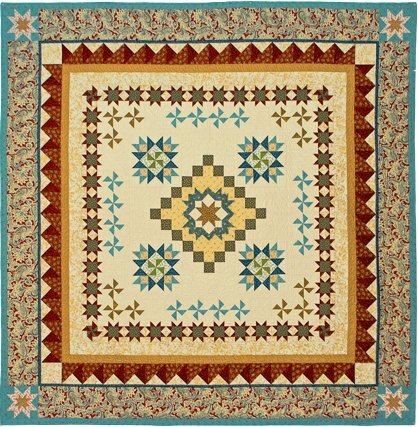 Lap quilt is in turquoises, oranges, and grays while the queen quilt is inspired by fall foliage. 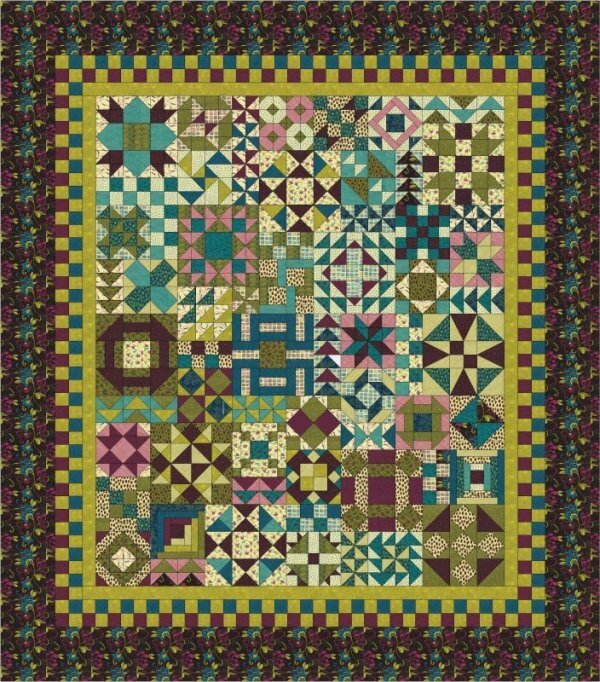 We are busy preparing this FLANNEL block of the month; it will be ready soon. 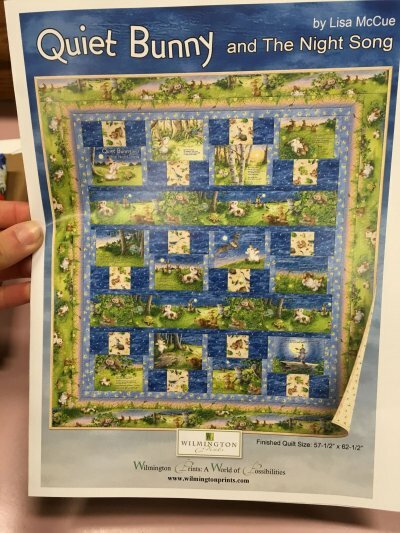 Photo of quilt below, but note that our colors will be different. 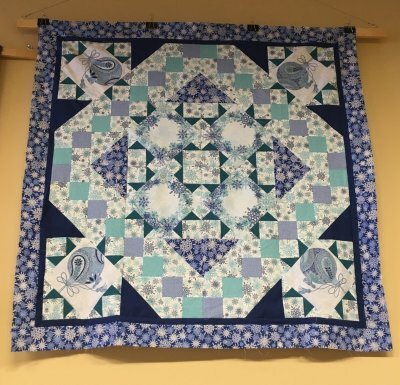 Kits are ready and we are excited to set aside the last Saturday of each month to show you how to put this great quilt together! Sign up today and specify which colorway you would like to have. Kits are cut and ready to start you on a journey of working with these great subtle dots and swirls. You really need to see this one up close! The Golden Age BOM- We still have a few slots left in this BOM making this stunning 79" x 79" beauty. Call us today! King Tut thread colors are replenished. Lots of variegated threads are now available. Summertime is a great time to get your machine serviced and ready for fall and winter sewing! We repair and maintenance all makes and models of sewing machines and sergers. Cameron, our expert technician, comes next on August 4. His list always fills quickly, so call us today at 406-586-6097 to reserve a slot. 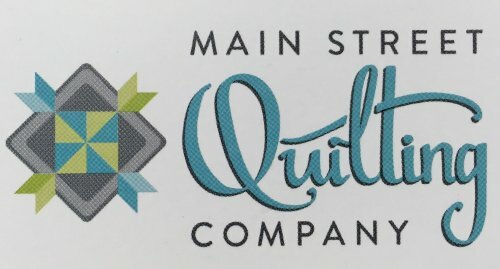 If you have a hard time getting our emails, add info@mainstreetquiltingco.com to your address book so our emails don't become spam!